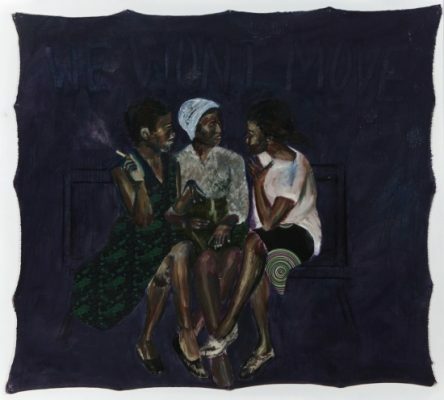 The exhibition Tell Freedom comprises new and existing work by fifteen young artists from South Africa. In it, they reflect critically on the past, present and future of their country in a global context. Artists: Bronwyn Katz, Neo Matloga, Donna Kukama, Haroon Gunn-Salie, Nolan Oswald Dennis, Lerato Shadi, Madeyoulook, Buhlebezwe Siwani, Lebohang Kganye, Ashley Walters, Francois Knoetze, Mawande Ka Zenzile, Kemang Wa Lehulere, Dineo Seshee Bopape and Sabelo Mlangeni Guest curators: Nkule Mabaso and Manon Braat The artists featured in Tell Freedom are inspiring representatives of a generation of South African artists who have grown up largely since the abolition of apartheid. They carry the burden of their country’s history of violence and injustice, but at the same time look to the future and the rest of the world with optimism. Their work examines and comments on social, political and economic injustices rooted in the colonial era and period of apartheid. Through it, they seek to understand their own position in the changing society of South Africa and at the same time to imagine the future. The works of art in the exhibition confront visitors with the social inequality that exists in South Africa, but also in the Netherlands. A number of the artists have been asked to produce new works especially created for this exhibition and reflecting on the future: is it possible to envisage a future based on principles of humanity and equality, rather than on exclusion and division? 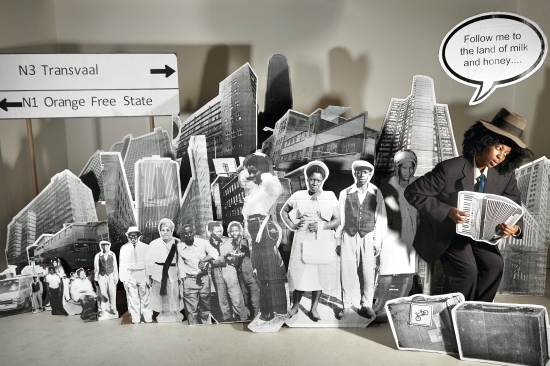 Kunsthal KAdE does not intend that Tell Freedom should offer a comprehensive overview of South African art today or, indeed, a new account of South African history; the aim is to focus on a number of young, socially engaged artists. Through the associated programme of educational and other events, the exhibition will contribute both to the discourse on inequality and to the effort to achieve an inclusive society, both in South Africa and in the Netherlands. The show will be accompanied by a catalogue providing background information and setting the works in context.